Get an online quote in seconds - Save 20% on phone bookings! We offer a quality, affordable, Stansted Airport transfer service from or to all areas in London and the UK. We are a dedicated, locally licenced operator only using local, well trained drivers. We are not a price comparison service or aggregator service. When booking with us your driver/vehicle will be fully affiliated to our quality service and so book your taxi to Stansted Airport online today to save 20%. We are specialists in transfers to other UK airports and seaports. 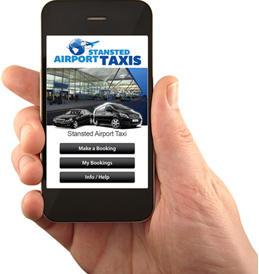 Require a Stansted taxi to Heathrow or Gatwick? Or do you need a transfer to Harwich or Southampton seaport for that special cruise? Whatever your requirements, let us get you home today - get a quote and book now - see below for more information to complete the best transfer today. We operate airport transfers from and to the following locations across the UK including more locally: Essex, Hertfordshire, Cambridgeshire, Suffolk, and Kent. For our full list of local counties, airports, seaports, cities and towns covered by us please click the link below for more information. To get your quick quote always type in your postcode or town name (do not use copy & paste when entering your details). Remember your luggage needs too when making an online reservation. We work solely with vetted and trained drivers who are well known to us to ensure that your transfer experience with us is as positive as possible. Get a quick quote now and see how you can secure a great fare today and bok online to save 20%. Is there a taxi rank at Stansted Airport? 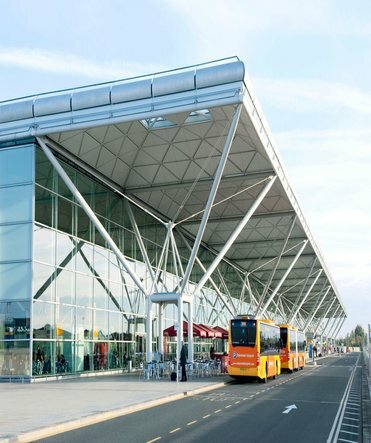 : No, whilst there is an on site private hire company, for the best value fares we always recommend that you pre-book your transfer in advance to arriving at Stansted Airport. What is the best way to book to get the best price? : We recommend that you book online to save 20% prior to arrival. See example taxi prices here. Do you offer meet and greet? : Yes, we offer two types. One in the terminal with a name board and up to 1 hours parking (£10 surcharge). The other is an express service where our driver would meet you at the front of the airport. How will I know if my taxi is booked?Once you complete the booking process you will be issued a validation email - validate your booking to confirm the booking.